5 Ways to Get Noticed on Creative Market — Jen Wagner Co. When I started my shop on Creative Market in July 2016, I expected it to be a small source of passive income to help pay a couple bills ($200-300/month max). Since then, it's become our primary source of income – seriously a dream come true. Joe Pulizzi explains this concept beautifully in his book "Content, Inc.” It’s brilliant – read it. Combined with what I learned in college about the lean startup approach and minimum viable products (the two best things I learned in school, so look them up! ), I began putting out two, sometimes three, fonts a week. They aren’t perfect, but they serve their purpose and created some great content for my store. Once I had released 12 fonts, I began to slow my roll a bit. I had a good content base to begin taking what I’d learned from those first fonts and start investing the time into crafting better quality ones (while also working my way backwards and improving the older fonts). So – content, content, content. Don’t worry about it being perfect when you’re first starting, just get good stuff out there. You can always work your way back and make improvements as you learn. 2. Try to get handpicked / in the "Latest Handcrafted Goods" newsletter. This is, of course, not something that you can guarantee, but creating beautiful products with beautiful images will definitely help increase your chances of being handpicked. Being handpicked has increased my views a little, but not significantly. Where the real value comes in is the “Latest Handcrafted Goods” newsletter. Creative Market takes all the recently handpicked items and compiles their favorites into this newsletter (it comes out on Wednesday mornings), and every feature I’ve had has significantly helped my sales of that product in particular. So if you get handpicked, you have a chance to be in the newsletter and increase your exposure that way. But there are exceptions! My best-selling font, Denver, wasn’t handpicked or featured in any newsletters until after it had become popular on its own. Beautiful products will speak for themselves, so don’t take it too hard if your work doesn’t get handpicked or featured. People will eventually take notice! 3. Your product images are everything. Denver was originally released with this cover (no wonder it wasn’t handpicked). It performed terribly. I made hardly any sales within the first couple weeks of it being released and thought it was a dud. In a last-ditch effort to make it stick, I redid all the graphics. This was the result, and sales went off the charts almost immediately. 4. Position your product appropriately. Positioning is a marketing strategy that basically takes a product and strategically presents it in the way you want your consumer to receive it. It’s the reason Denver went from mountains to roses, and it worked. The change to Denver happened when I tried thinking of the product from the perspective of the consumer. If I were my “target market” – a 20-something freelance designer whose clientele is mostly women – I would probably use Denver for wedding invitations, special event graphics, and more feminine artwork. 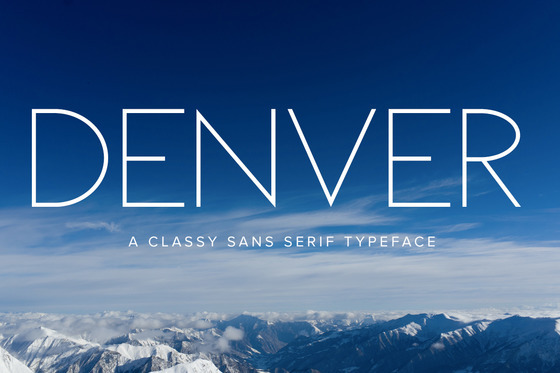 When I looked at my presentation of Denver from the consumer’s perspective, I saw a beautiful and delicate font surrounded by beefy mountains and saturated colors. That doesn’t make sense! So I changed all of the graphics to fit the feel of the font. It’s soft, almost romantic, and it needed to be placed in that setting. It takes time to learn how to position your products appropriately, which is actually why I haven’t gone back and changed graphics for other fonts that haven’t done well. It’s time-consuming! But so worth it. 5. Be yourself – You are often the best picture of your customer! Before Creative Market, I was well known in our community and online for calligraphy and hand lettering. I had taught several online courses, launched an Etsy shop, and even have a hand lettering book with a well-known publisher we’re working on wrapping up the manuscript for in the coming weeks. It’s been a phenomenal experience and I still love it, but I tend to lean more toward minimalism as a designer. If I had just looked at what was popular on Creative Market, I would have tried to get exclusively into the script fonts game and probably wouldn’t have done well at all, even though I have the experience to back it up. I took what I knew about myself as a designer, not a calligrapher – that I obsess over and hunt for beautiful serif and sans serif fonts – and began creating that content myself. Faroe Thin actually came to be because I had been looking for a font like that and couldn’t find it. Jackson was created when I needed a scribbly calligraphic font for a client. Pasadena was intended for magazine headers for a project I was working on at the time. Don’t just look at what’s popular and let that bias your creativity. Create products that you love and would look for yourself, and you’ll inevitably find others who have been searching for the same thing!